One of the main obstacles to the development of geothermal energy resources is the cost and risk associated with geothermal energy source. Various initiatives have been launched by governments, multi-lateral institutions, and donor groups to reduce the risk and incentivize the development of these geothermal resources by the public sector. 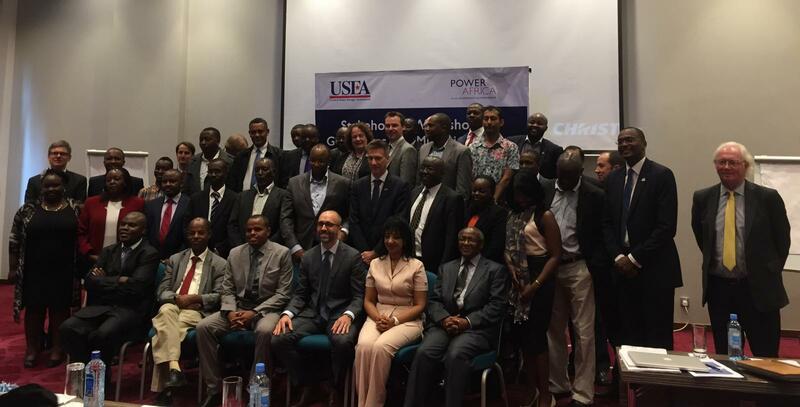 A consulting consortium, led by Ann Robertson-Tait of GeothermEx (a Schlumberger company) and Julian Richardson of Parhelion Underwriting, was selected and funded by the U.S. – East Africa Geothermal Partnership (EAGP) to design a risk mitigation mechanism for geothermal development. Following the completion of the draft report under Phase 1 of their assignment, the consultant team presented their findings to an audience of regional stakeholders, including public, industry association representatives in the US and East Africa and private sector institutions. The “Stakeholder Workshop on Mitigating Geothermal Risk and the GeoFutures Facility” took place on Thursday, March 23rd, 2017 at the Radisson Blu Hotel in Nairobi, Kenya. Coordinated and implemented by EAGP, with close consultation from Power Africa, this half-day event served as an opportunity for the consultant team to present the draft proposal and collect feedback.